It was a good weekend to be playing at 888Poker for eight lucky BLAST players. Twice over the weekend, the maximum 10,000x Jackpot prize was hit at the BLAST Poker tables, resulting on a $300,000 prize pool in a $30.00 buy-in game, and a $5,000 prize pool in a $5.00 buy-in game. Due to the payout structure of the games, all four players in both the two games picked up a cash prize. The biggest BLAST winner of them all was Swedish player “bucopepic”, who pocketed $180,000 for his victory in the $30.00 buy-in game, but even the fourth placed player in the $5.00 game picked up $5,000 – possibly explaining why BLAST has become such a favourite among 888Poker regulars. If you have not yet played BLAST at 888Poker, you are missing out on quite an experience. The game starts when four players have registered and, before any cards are dealt, a wheel is spun to determine the value of the prize. The prize can be 2x, 5x, 10x, 100x, 1,000x or 10,000x the buy-in and, unlike other hyper-turbo Jackpot games, the value of the prize also determines the maximum length of each game. If the random prize is 2x or 5x the buy-in, the game is limited to three levels. If the prize spun is 10x the buy-in, the game has a fourth level added. When the 100x prize is hit, five levels are played in the game. When a 1,000x or 10,000x prize appears, the game continues until the end of level 6. Once the end of the allotted level is reached, every player is all-in every hand until a winner is determined. Levels only last two minutes each, but players start with the equivalent of thirty big blinds (1,500 chips), so there is an element of skill involved in the early stages. 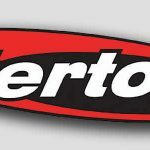 Furthermore, as there are four players in each game, the chances of a 2x prize being drawn are much lower than in three-handed hyper-turbo Sit & Go games. 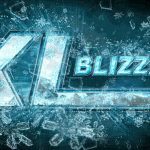 The presence of four players in each game also leaves room for a fairer distribution of the prize pool. Only when a 2x prize value is spun is the game played “winner-takes-all”. In all other games, the runner-up will receive a prize, while at the highest levels, all four players win something. To avoid disagreements, 888Poker does not allow for deals to be made during games of BLAST. 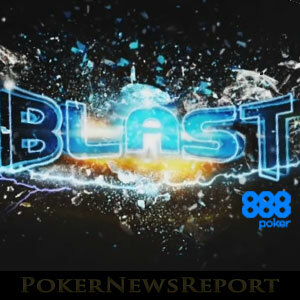 BLAST Poker is currently available on the 888Poker download and mobile app, and the BLAST Poker tab is at the right hand side of the bar at the top of the 888Poker lobby. 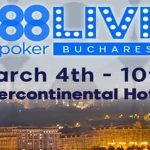 The games can be played at four different buy-ins – $0.10, $1.00, $5.00 and $30.00 – so for both top prizes to be won over the same weekend is quite remarkable. If you fancy emulating “bucopepic” and getting a return of 6,000% on your next poker game buy-in, head over to 888Poker. 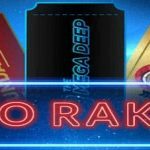 New players can claim up to $88.00 (varies according to jurisdiction) to test out BLAST Poker and – if you use our links to visit the site – get an exclusive first deposit bonus of up to $600.00 (normal maximum bonus is $400.00). To find out more about 888Poker and the experience you can expect to enjoy once you start playing there, read our 888Poker review. Our review explains why players stay at the site once they have taken advantage of the free money and poker bonus, and also why we consider 888Poker to be “the friendliest poker site on the planet”. Go on, give it a go. We are sure you will have a BLAST!